Under this initiative, parents will be able to find the latest information and advice relevant for children’s development, nutrition and care, all available via an improved phone counselling service and a new mobile app, Halo Beba (Hello Baby). In addition, an e-platform for the continuous training of home visit nurses will be established, and awareness of the importance of early childhood development will be raised through a media campaign. “The Halo Beba mobile app will be enriched with additional information pertaining to child development, nutrition and care, health related and other frequent issues that parents encounter, as well as with the advice for parents on how to stimulate their children’s development through everyday activities, and to identify potential developmental delays. The on-line training guide for home visit nurses will be supplemented by new topics related to early childhood development. This will contribute to a higher quality of the home visit service which is a direct link between the citizens and the health care system, and which connects the health system with other institutions in the local community (such as the Centres for Social Work, kindergartens, schools). With the financial and expert support from the team at Nordeus, we will contribute to raising public awareness of the importance of early childhood development through a media campaign,” said Vesna Savic-Djukic, Fundraising Specialist at UNICEF in Serbia. Based on the latest global research and findings, the information on early childhood development will become easily accessible to all parents and carers via the digitalisation of the Halo Beba counselling hotline. This will be supported by Nordeus. Throughout this project, 60 home visit nurses from 15 Belgrade health centres – who annually take care of 111,000 children aged 0-6 – will receive training, including the latest knowledge in the field of early childhood development. This information will also become even more accessible via the on-line guide, and will be accredited by the Serbian Healthcare Council. By doing so, the innovative electronic platform will become an integral part of the continuous, professional training of healthcare professionals in the country. Dragana Cerovic from the Palilula Health Centre said that the training on the implementation of the modern “tools” in home visit medical services was highly useful. “On-line education is a true blessing. It is always available, efficient and easily applicable. It provides written and pictorial guidance and interpretation of anything you need to know on a certain subject, and it enables us to stay up-to-date with the latest knowledge relevant for our work at any given moment. We are thrilled that this partnership will allow us to receive new early childhood development training, and that the home visit staff in all health centres in Belgrade will be fully trained to implement new knowledge in practice,” noted Ms. Corovic. The phone counselling service, Halo Beba, and further development of the home visit service are among the strategic commitments and national programmes of the Ministry of Health, adopted by the Government of the Republic of Serbia. Halo Beba phone counselling service was established in 2001, with the expert and financial support of UNICEF. Since then, the daily number of calls has increased from 60 to 450, and reaching over 1.5 million parents thus far. The phone line is open 24/7/365. 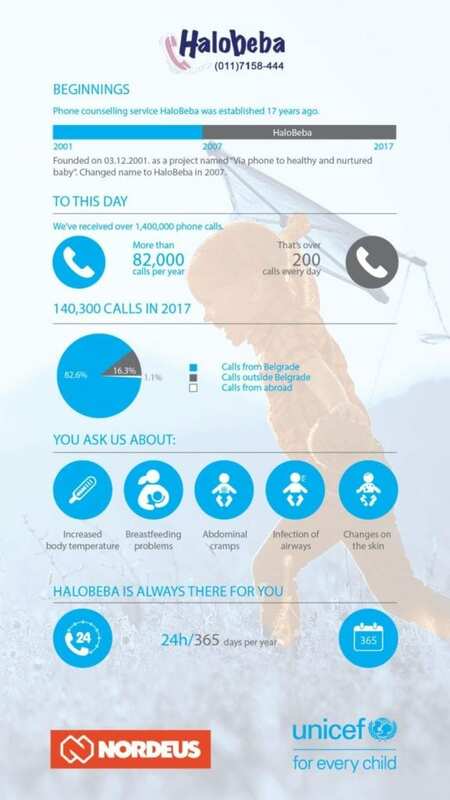 The City of Belgrade government has supported the operation of the Halo Beba counselling telephone line from the start . 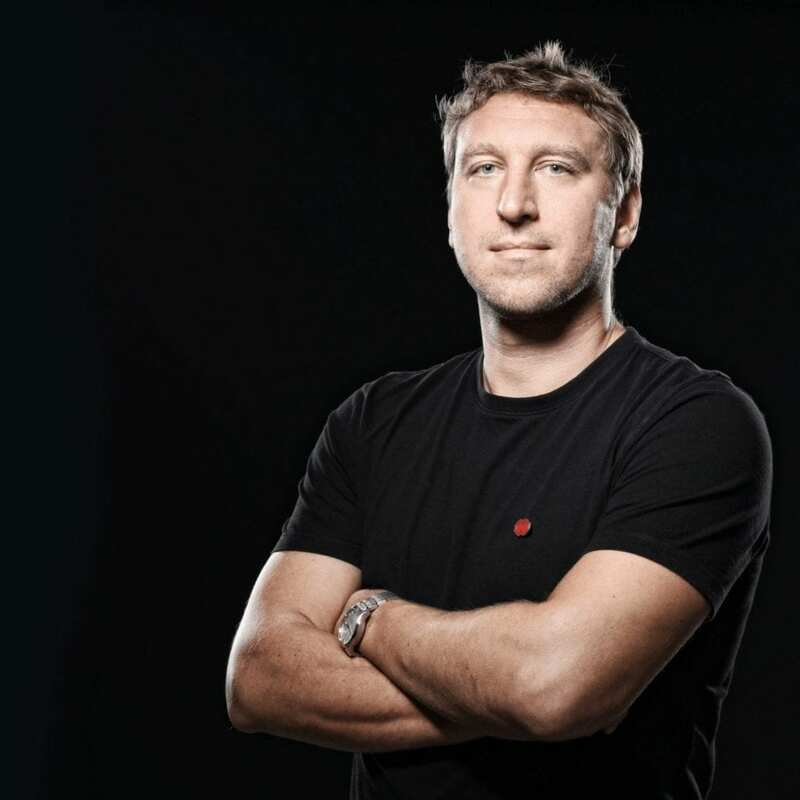 Mayor of Belgrade, Zoran Radojcic, has underlined its importance for the citizens of Belgrade and said he fully supported the announced modernisation of the service. Within the Early Childhood Development Programme, UNICEF in the past two years, with the support of Nordeus, provided equipment for six development counselling offices across Serbia, while the work of 216 healthcare professionals was improved, and 17,000 children and parents received early childhood development services.